Going to try and stop by soon!! Everything looks so good. It looks fresh, tasty, not boring. If I am every in the area, I will be sure to visit. Oh my lord, that looks so good. I love falafel. 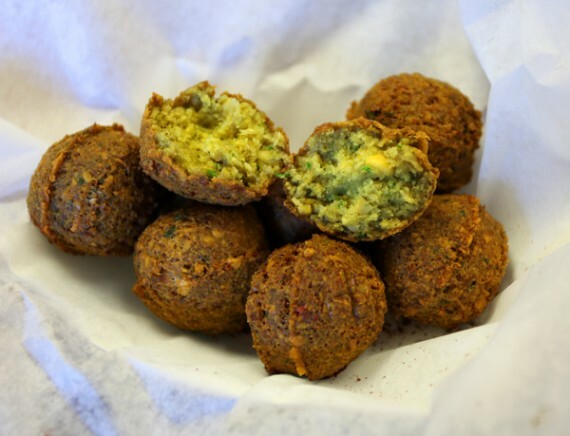 My favorite place for falafel is on Santa Monica & Normandie, Alex Falafel I think. 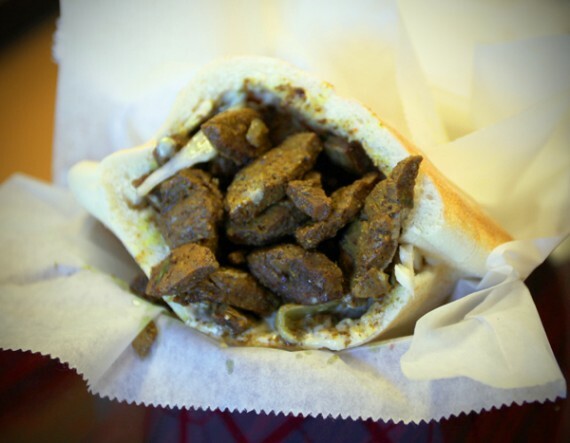 They serve meat dishes, so I might have a new favorite falafel place to replace it with! 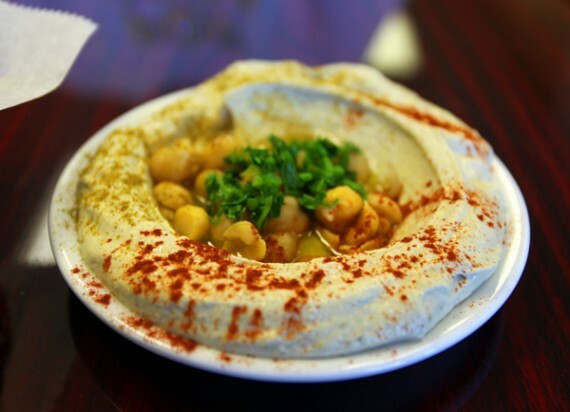 Since the Hummus King was first reviewed on QG my wife and I have been there 6-7 times. In fact yesterday waiting for the plumber to replace out hot water heater, my wife went and picked us up lunch there. We both had the shwarama sandwich, cabbage salad and fire balls. 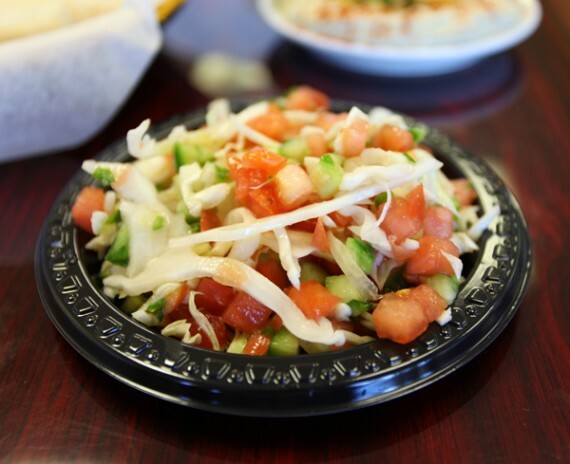 Hummus King has turned into our new local favorite….and I love we can walk there in less then ten minutes. This place is so close to me. Definitely raiding it soon. this place is amazing. the hummus is the best i’ve ever had! I’ve gotta go again and try the fire balls…he was all out of them last time I went. 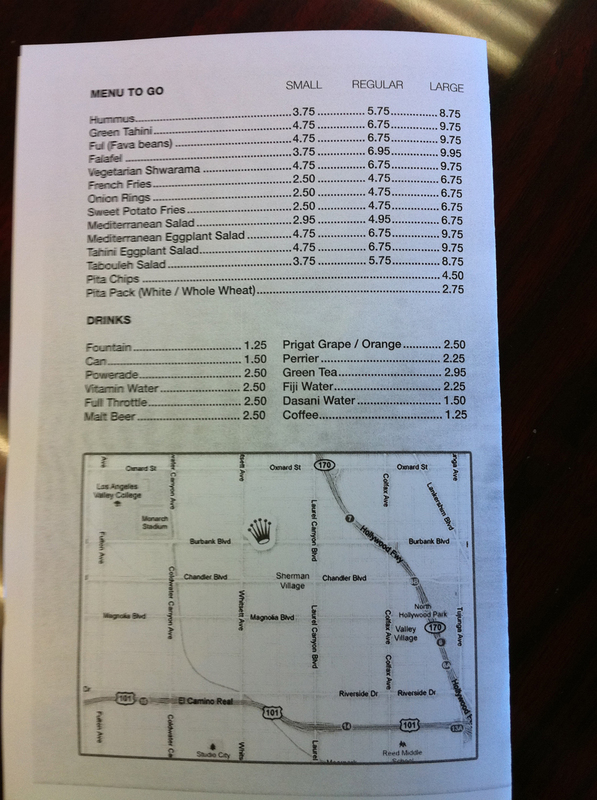 My veggie co-worker and I are constantly trying to expand our valley lunch options so I was psyched to try this place. We went on Monday and the shwarama sandwich ROCKED! This will now be on our weekly rotation. Agree with Greg C. – I got the combo and was bummed by the lack of iced tea too. Do you know what the shwarna is made of? Imported bullshitmeat? Gardein? Ever since Operation Pancake I’ve become very careful with fake meats. i have no idea wtf a fire ball is but i want one so bad. right now. Looks great! And not as far from my office as Hy-Mart Deli. You should come to detroit sometime. there is tons of food available like that. i went last night and jason told me he was overwhelmed with customers all day!!! he had to make all new hummus, bc he sold out! FIREBALLS! They’re not kidding….wow, make sure you have something to drink if you eat these!!!! “i went last night and jason told me he was overwhelmed with customers all day!!! he had to make all new hummus, bc he sold out! Quarry Girl needs window stickers to hand out to QG approved vegan joints. They could read…. I’m so jealous, this place sounds absolutely divine! 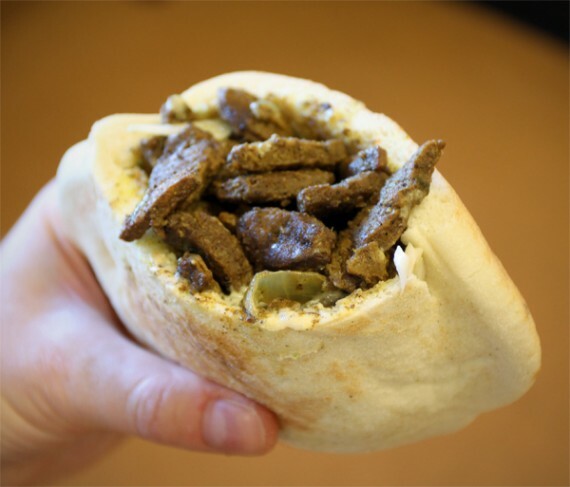 The shawerma looks / tastes / feels to me like garden variety dried soy meat – essentially TVP. Has a mild, but distinctive taste which I don’t really prefer, and I thought the seasoning was a little not that great. 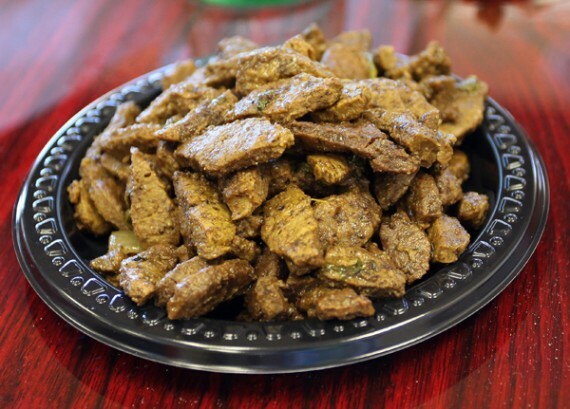 I think if it were served hotter, it would have tasted a little better, but I really would have preferred a seitan-based shawerma, with more nuanced spicing. So it’s cool that they have it and all, and I was curious enough to make the trip for it once, but I’d really prefer to eat a good falafel somewhere else. The falafel was Ok. Not the worst I’ve ever tasted as someone said above, but not really worth a trip to the valley for either. 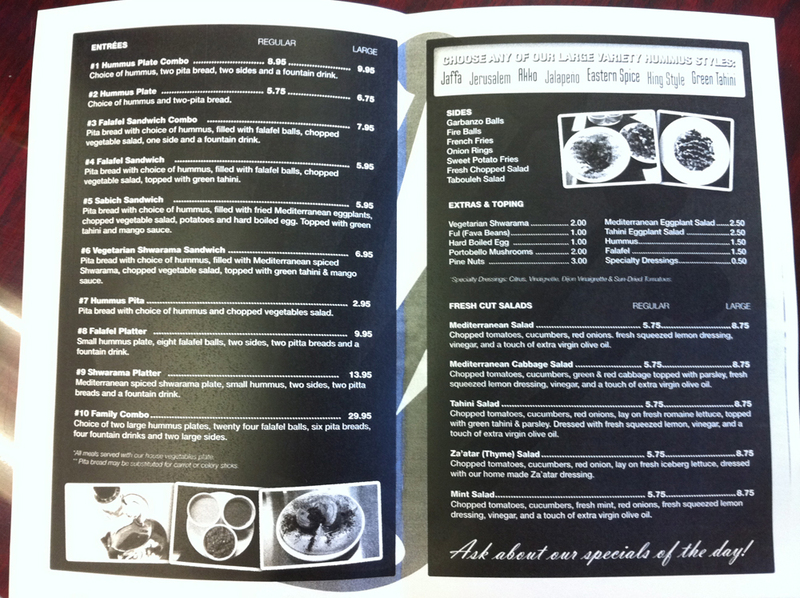 Hummus was pretty good; the ful mudammes was really awful, though – didn’t taste like any rendition of ful I’ve ever had. It tasted more like pinto or kidney beans than fava beans, and the spicing was all wrong. “i honestly wanted to pick up the plate and face palm it.” –classic! I’ve gone once and the shwarma was really good, though it wasn’t as seasoned as I’d hoped. I little tapatio saved the day. However, I’ve gone by 3 other times in September and they’ve been closed every time! Not sure if observance of Jewish holidays / sabbath is the reason, but I’m losing hope. It’s 6:04 and I just learned they close at 6 on Fridays now. New winter hrs the are open s-f 11.30-4.00 closed sat. 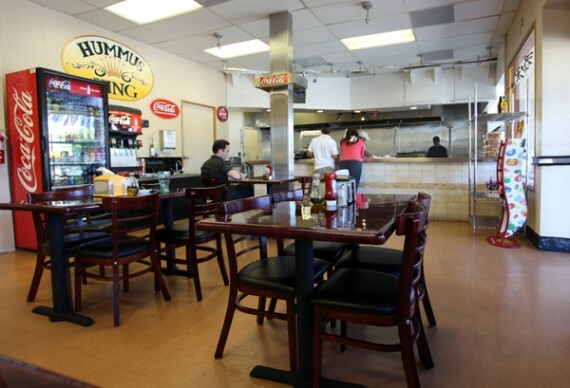 Hummus King will be closed for Superbowl Sunday — have a great party everybody!